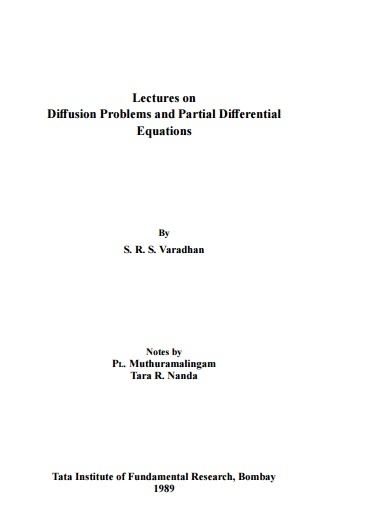 Lectures on Diffusion Problems and Partial Differential Equations - By S. R. S. Varadhan. - Tata Institute of Fundamental Research, Bombay. 13 Extension to Vector-Valued Ito Processes 95 ? 15 Equivalent For of Ito Process 105 ?